Atlético Paranaense Red Lanyard More info. 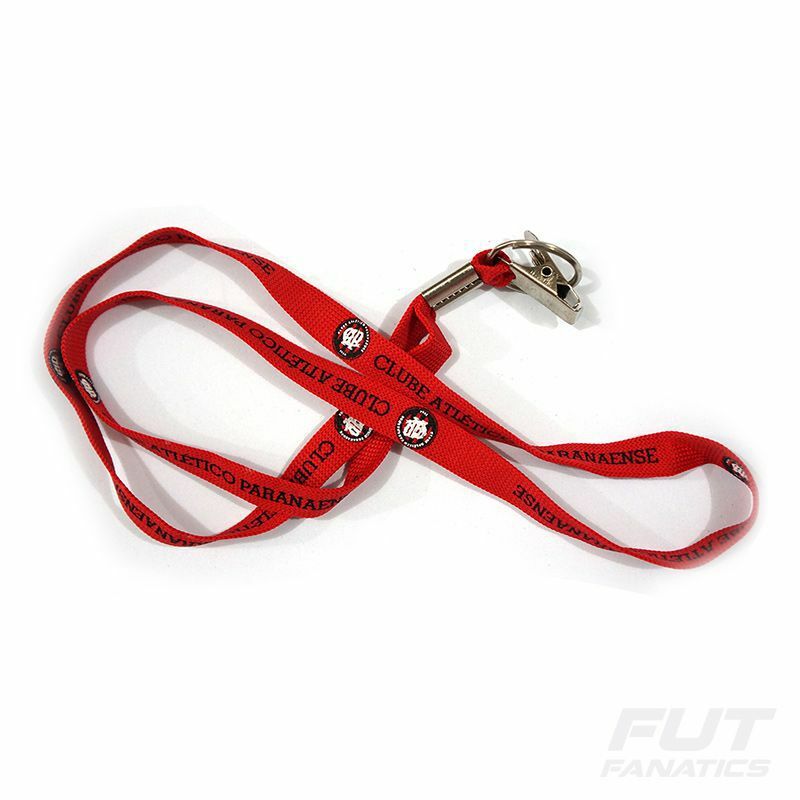 Atlético Paranaense Lanyard​ presents details with the name of the club throughout the piece and a practical metal clasp to carry badge, mug, keys, among other objects you want. The piece is made of polyester and brings red as the predominant color.